Property management is not for the faint of heart; at times the job can involve frantic work and unusual hours, all while balancing the day-to-day aspects of working with a diverse group of clientele and ensuring great customer service in the process. In the midst of these details, management companies can make mistakes that set themselves up for failure down the road. 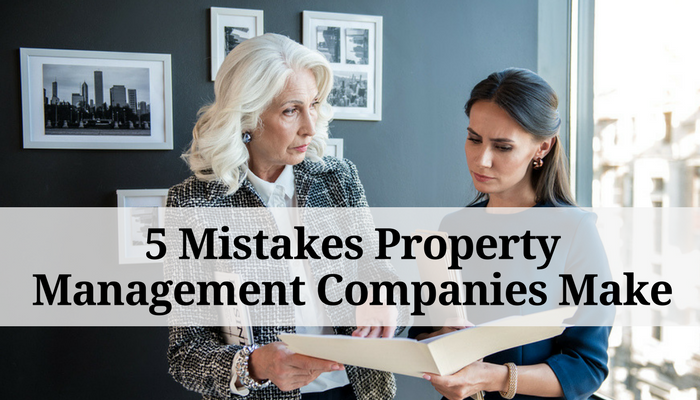 In order to set yourself and your property management company up for success, ensure you are avoiding these common property management mistakes. A lack of organization–whether with paperwork, rent collection, or responding and tracking service requests, is a surefire way to always be playing catch up as a company. To truly be successful property managers need to have appropriate systems in place to maintain and track rent payments, contact with tenants, and ongoing repairs and maintenance. These all need to be transparent and easy for owners to follow–even better if you utilize a property management software to automate tasks and allow owners to access important notes or documentation on their units within your portfolio. To be successful, you should have systems in place for collecting rent, responding to service requests, and tracking ongoing repairs and maintenance. Expanding is generally great for a business, but if you’re taking on too many units too quickly (and not hiring enough help to assist with the additional workload) you’re bound to feel the repercussions of this mistake and will soon realize you are doing yourself–and your owners–a disservice. Avoid adding too much too quickly, and avoid adding units in a smattering of locations. Before taking on a property, truly examine whether your staff can currently handle the load, and keep location in mind when assessing this. Afterall, managing one large complex requires a lot less running around than managing a few units on all sides of town and another few in a town over. Contractors, market rates, and marketing strategies can vary across different parts of a city; have a strategy ready before growing your portfolio significantly, and be ready to balance those nuances if you’re looking to expand in other segments of town in your area. Between ensuring that repairs are handled in a timely manner, vetting contractors and vendors, repair and deduct practices and the temptation to hire the cheapest option all contain their own pitfalls to avoid. While it’s certainly a lot to take in, management companies destined for success know how to balance their maintenance needs with cost and time. 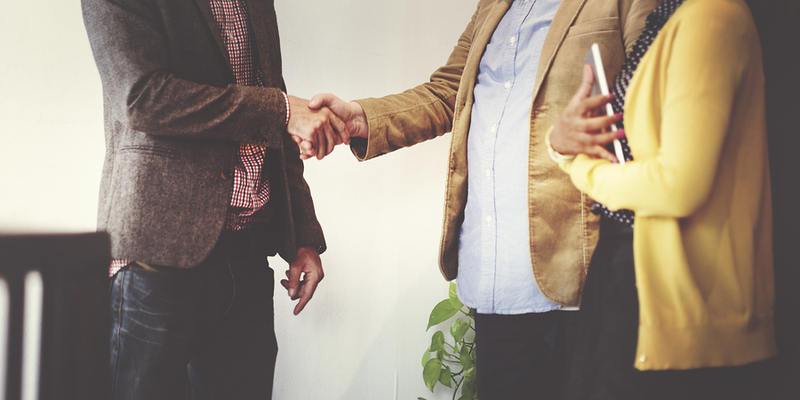 Avoid costly mistakes by screening vendors appropriately, and creating relationships with contractors (instead of bouncing around for the best deal). Building a network of highly skilled, trustworthy vendors that you know will efficiently handle an issue with great customer service, is far more important than the minor savings you may have incurred from taking the time to hire a new worker every time a maintenance task rolls around. Renters today, particularly those belonging to the millennial and Gen Z generations, rely on the internet for many of their most important tasks. 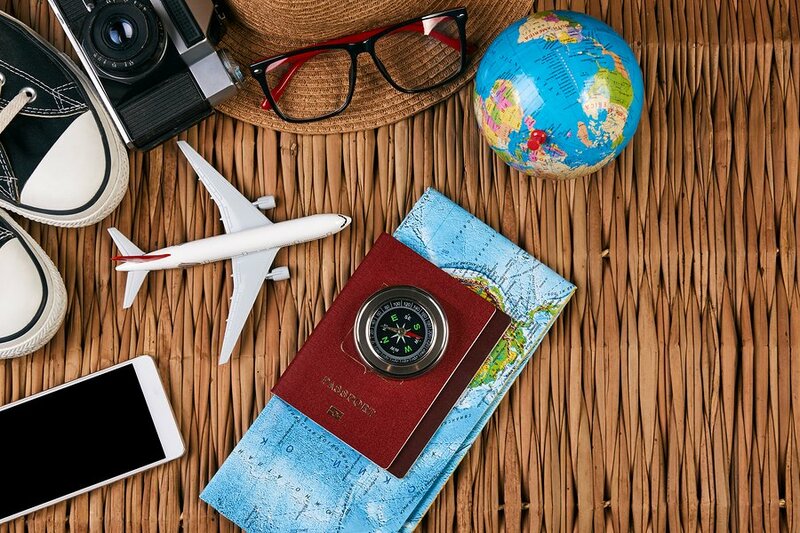 A property management company that is not using online connectivity to its fullest, is making a mistake that will have a significant impact on occupancy and renewal rates. According to findings from the 2017 Zillow Group Consumer Housing Report, online tools are the number one way renters shop for a new place. Having online leasing, allowing tenants to auto-pay or pay rent online each month, and allowing them an easily accessible way to submit maintenance requests will offer your tenants the connectivity they crave. Having a solid tenant screening process in place is imperative for a property management company’s success. 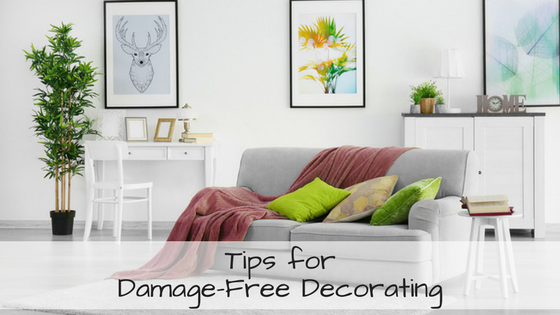 Allowing nightmare tenants to inhabit the property you manage is asking for trouble, and that translates to a heaping portion of additional work for you. Whether it’s dealing with damages to the property, late rent, or disruptive behavior, the time and energy spent on mitigating the issues that poor tenants create will guarantee that your staff will be spread thin. If you face the time and cost associated with eviction, your and your staff’s workload increases even further. Don’t make the mistake of killing your efficiency and your owner’s trust by consistently accepting applicants that will cost you long-term. Instead, make sure that you have a solid screening process. This should include criminal background checks, rental history, and credit checks. Moreover, protect yourself and be ready to answer questions about your process by creating a comprehensive written tenant screening policy to ensure that poor tenants are vetted out, but no discrimination occurs and Fair Housing Laws are not violated. Ensuring you keep your property management business profitable and efficient is nearly impossible if you get sucked into the pitfalls associated with these property management mistakes. And while there are certainly other issues for which managers should be wary, mastering the skill sets and organization required to handle these issues are a way to guarantee that you are setting your company–and the investors trusting you with their rentals–on the path to success.